Good morning, my dear marmosets! 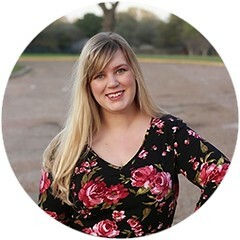 Last week, I posted about the Kibbe System and my incipient plans to overhaul my wardrobe. Your interest in this process--and the fact that anyone still reads my sadly neglected blog--took me by surprise. I'm not alone in this rabbit hole, it seems! Today, I thought we'd go further into the actual nuts and bolts of my plans. While Kibbe is a deeply flawed system, it's also a useful jumping off point for these changes. Shifting my lens--thinking about my body in terms of bone structure and softness, not just measurements--is altering how I think about clothing. A lot of the suggestions need to be taken with a grain of salt, whether because of impracticality or a decidedly 1980's sensibility, but others are proving pretty insightful. According to Kibbe, I'm a "Soft Dramatic." He goes into the concepts of Yin/Yang and starts getting florid in his descriptors, but that's all a bit saccharine for me. It just means I have a large, angular bone structure with voluptuous curves on top of it. Think Christina Hendricks, Tyra Banks, or Sophia Loren, for platonic archetypes of this category. Tall, curvy, and extravagantly formed in every way possible. The rule of thumb for dressing such a body is that the clothes should be proportionate to that feminine drama. Delicate details look fussy or mumsy (a problem I often have! ), while overly tailored pieces look too stiff or prim. Fabrics should be soft and draping, silhouettes should have strong vertical lines and large, feminine design features. 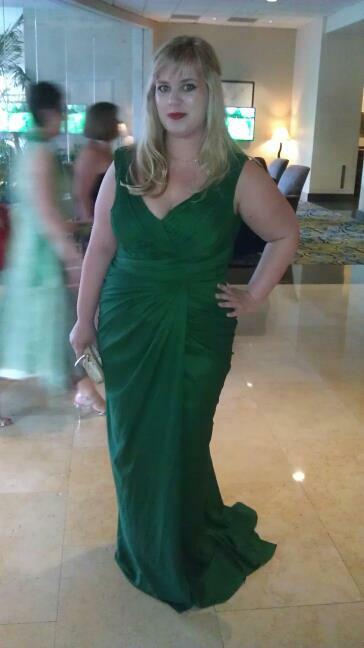 While this is my favorite dress of all time (an off-the-rack Tadashi Shoji, worn for a fancy awards ceremony), such gowns are not great for running after a toddler, working at a computer, or doing anything other than standing around and looking pretty. Impracticality is a true risk of my particular Kibbe type. The trick is to balance such exalted recommendations with how a real thirty-something human lives her life. 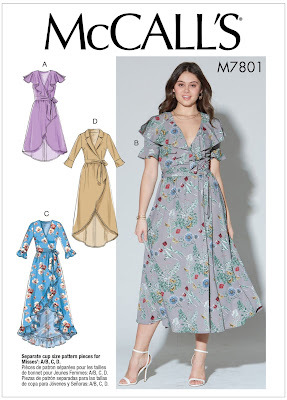 I'm intentionally adding draped designs, vertical lines, soft fabrics, and large, feminine details to my wardrobe, just...not necessarily all in the same garment. Based on the needs of my drastically reduced closet, I've picked up quite a few new patterns to make over the coming months. When the weather warms up, I'll need to reassess again, but this plan gives me a chance to experiment with new silhouettes while still making pieces I need right now. Later this month, Sam and I will celebrate our 5th wedding anniversary! I cannot believe it's been that long, y'all. It somehow feels like we've been married both forever and for no time at all. Time is a funny thing. Since our anniversary falls so close to Christmas, we're always visiting my parents in Austin at the time. Not only does this guarantee childcare (Yay for wonderful grandparents! ), but it allows us to get dressed up and have a truly fancy dinner date. This year, I'm making McCall's 7429 for the occasion. A knit knot-waisted dress that fits so many of my new requirements--slinky fabrics, draping, and a cohesive look--this pattern is begging to be made up in stretch velvet. In addition to our anniversary, there are also a whole slew of holiday events happening this month. My initial plan was to make McCall's 7801 before any of them began, but I encountered some bumps with the bodice of this pattern. Even though it has cup sized pieces, this pattern wasn't drafted for the bustier among us, when it comes to neckline proportions. To fix it, I'm going to sew View C, but substitute a Burda woven wrap bodice that I already know works well. The ruffles may be a smidge undersized for Kibbe's recommendations, but I think the draped skirt and those feminine details still win out. 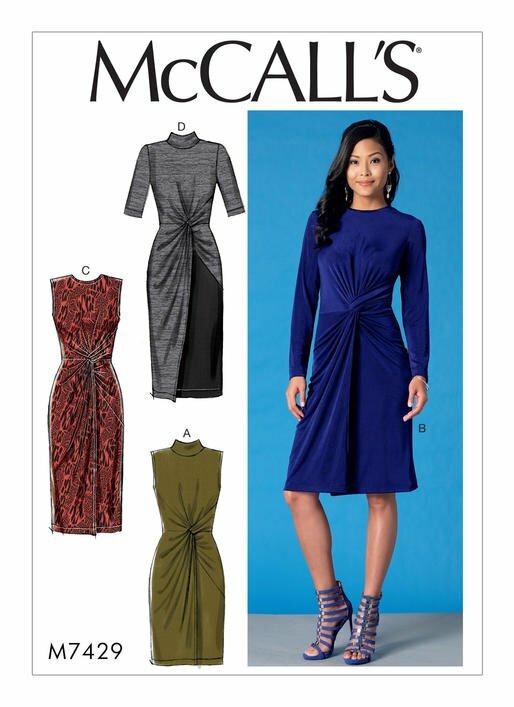 For everyday wear, I'm planning a few long-sleeved versions of McCall's 7534, a mock wrap dress with a shawl collar and extended shoulders. This hits Kibbe's recommendations on almost every level--strong shoulders, softly draping fabrics, long vertical lines--while still being practical for my normal day-to-day life. I have a couple of pretty rayon crepes in my stash that are going to be killer with this pattern! And now for something completely different. 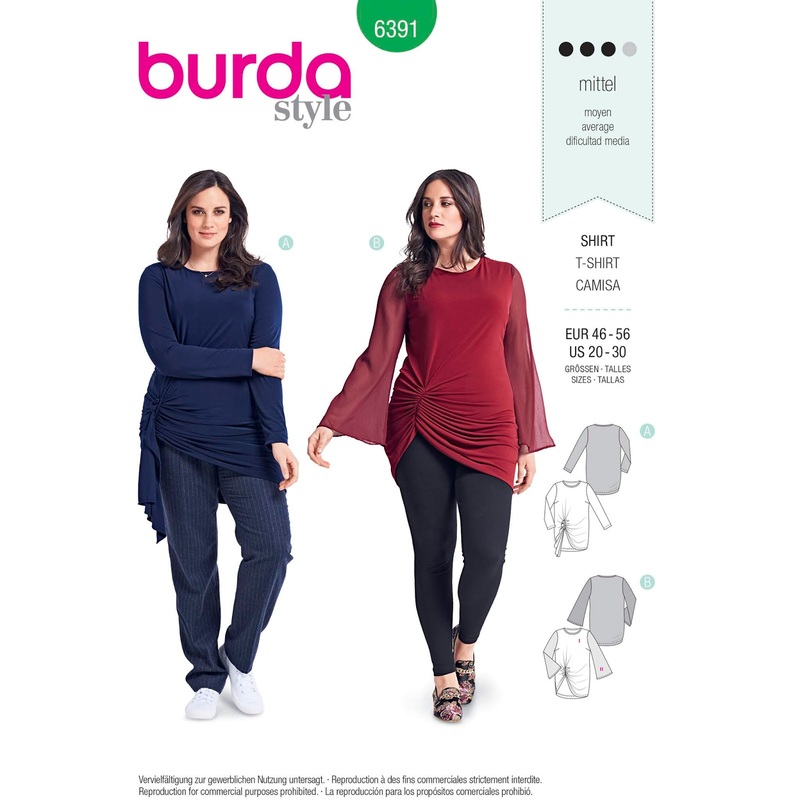 Burda 6391, a artfully ruched knit top, is one of those patterns that I never would've made a few years ago, but I absolutely love now. That draping knit bodice! Those gorgeous swishy sleeves! Everything about View B screams Soft Dramatic, but also gives me low key Stevie Nicks vibes, so...you know it's at the top of my list. There aren't many indie patterns that fit the Soft Dramatic recommendations. Many seem to be designed for people who look great in boxy, simple shapes or more casual, laid-back silhouettes. As we've discussed, I've never done casual terribly well. 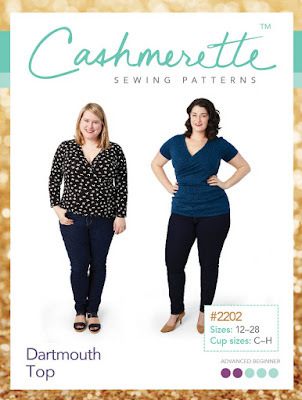 One lovely exception to this indie drought is the Cashmerette Dartmouth Top, a surplice wrap top that has a gorgeous deep v-neck and ruched side seams. Made up in a cozy sweater knit, this is exactly the sort of top I want these days. Spoiler alert: I've already made this Burda sweater. With the giant cowl neck and ability to become an off-the-shoulder neckline, this fits all of Kibbe's recommendations and channels my love of somewhat ridiculous sweater silhouettes. I love an oversized cowl. Making this was a no-brainer, but making it a cream colored wool knit was perhaps a bit dim. I spilled spaghetti sauce on it, first thing, and needed to have it cleaned, before taking photos. I actually made the Nina Cardigan years ago and it's one of the most worn items in my closet. The graceful, but dramatic, waterfall has always suited me and I'd really like a few more of these in other colors. Thrown over skinny jeans and a camisole, it's an elevated look for running errands or dropping Louisa off at nursery school. 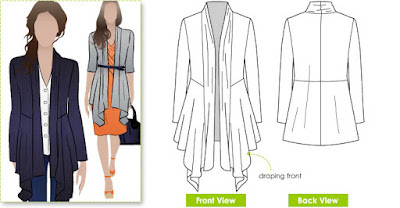 The waist cinching of the Nina separates it from other waterfall cardigan patterns, giving it just enough extra shaping to avoid looking boxy. Finally, the grandest of my plans! 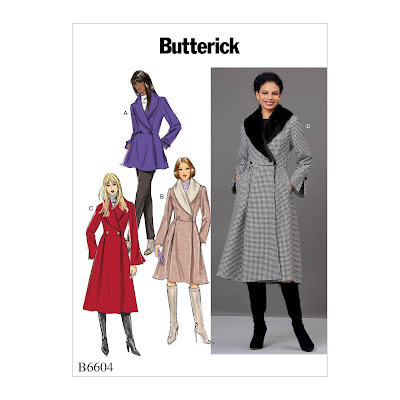 I always want to make a winter coat, but look up to discover it's mid-February and I still haven't decided on a pattern yet. Not this year. Come January 2nd, with the holiday hubbub behind us, I'm cutting into Butterick 6604. 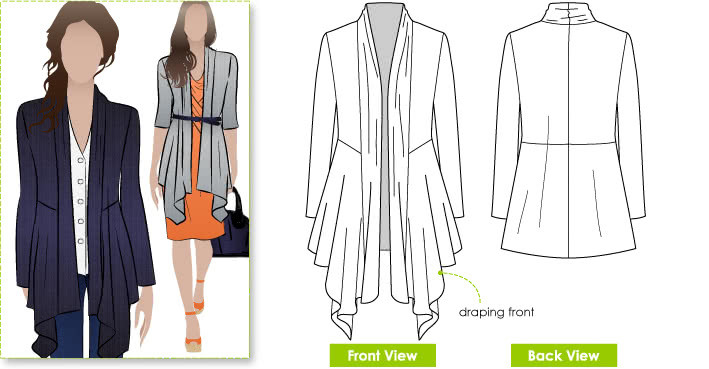 View C, with its large collar and flared sleeves, is exactly what I want in a coat, while also having easy-to-fit princess seams. I've got all my supplies prepped and can't wait to start this "someday" project. 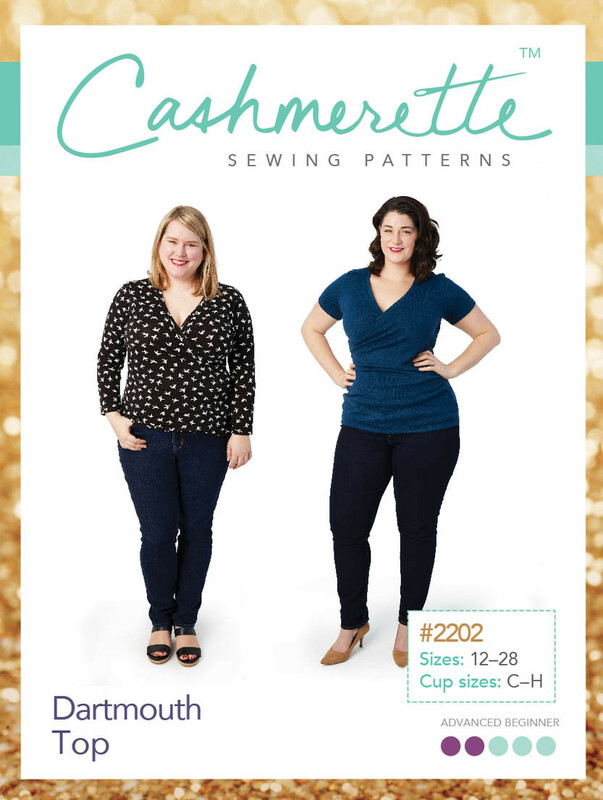 What do you think of my winter sewing plans, friends? 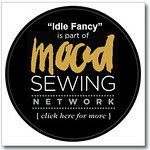 Do you have a list of projects waiting to be made this season, or are you focusing on a few special pieces? I'm really excited about trying new shapes and details, thankful for Doctor T's Kibbe series for sparking such creative motivation.